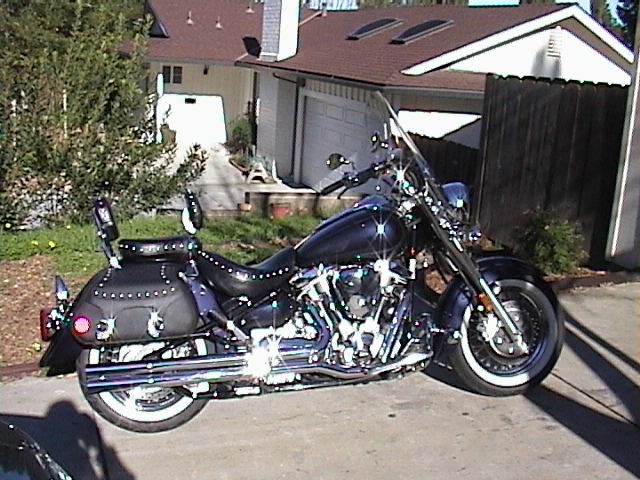 I purchased this bike new in May of 2002. The Silverado comes standard with windshield, floor boards, and studded seats and saddle bags. I have a second "Looney" seat for it which lowers the rider by about 3 or 4 inches. 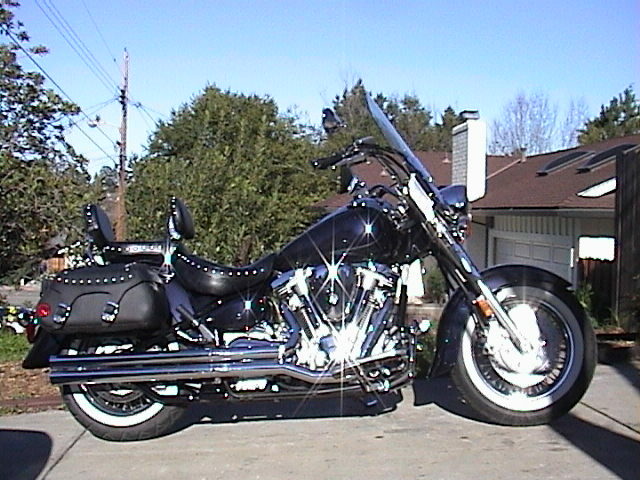 I have a set of Vance & Hines Long shots pipes for it, as well as small engine guards, highway pegs, driver's backrest, custom shift rod, and lower wind deflectors. It has the Radiantz LED tail light kit with clear lenses in back for turn signals/running lights for better visibility from the rear at night. I have done all the services on it. The oil and filter have been changed every 4,000 miles. No modifications have been made for performance, as it's my feeling that this decreases reliability and dependability. It currently has approx. 32,000 miles on it. 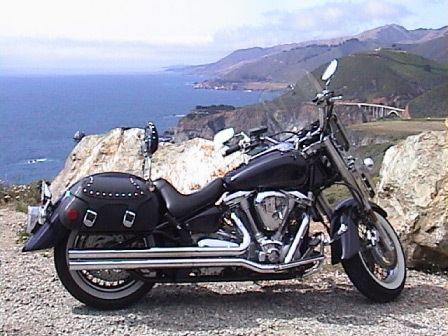 (11/2003) That's mostly highway cruising which this bike loves to do. The 98 Cu. In. 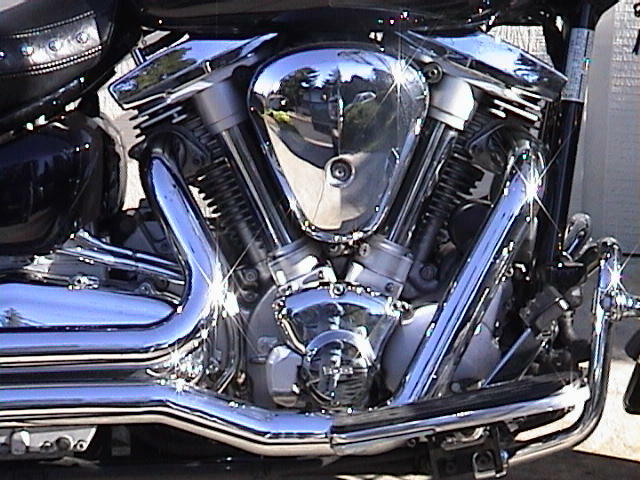 engine has plenty of torque and power for riding two up. At 75 mph, it's barely working at around 2500 rpm. seat, and Long Shot exhaust.